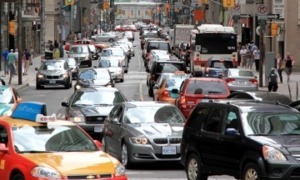 Co-op Cabs/Crown Taxi guarantees all of our customers there will be NO SURGE PRICING. 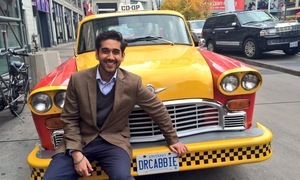 Hit Canadian Movie Dr. Cabbie to be made into TV Show! 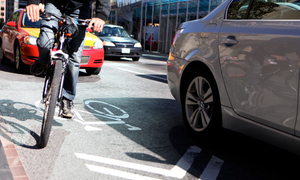 Ontario's New 'Dooring Legislation' if passed, means steep fines for opening your door on a cyclist. Co-op Cabs operates over 45,000 trips for customers with special needs every month. If you missed some of the sochi action this week, we compiled five of our favourite moments to get you up to speed. 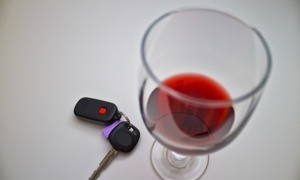 When you drink and drive, you do not just endanger your life; you also endanger the lives of other people. 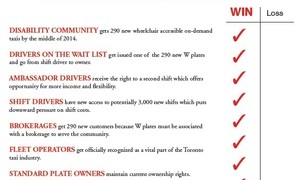 Toronto's Taxi Review report was passed by the Licensing & Standards Committee on January 23. 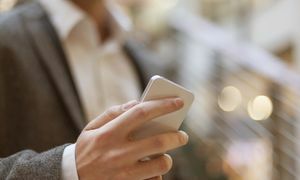 Read more about this important development. 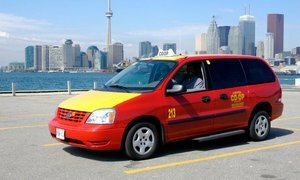 Co-op Cabs is an iconic Toronto cab company with a reputation for excellence that we've nurtured throughout our 55 years of operational history. 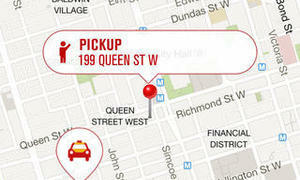 Co-op Cabs is the only Toronto taxi number you need to remember. Give us a call at 416-504-2667! 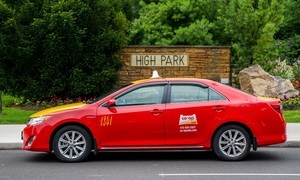 Why Are We Using Hybrid Taxi Cabs? 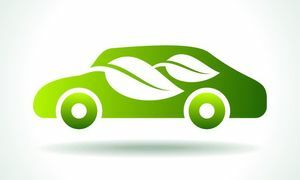 Co-op Cabs uses our own hybrid taxi cabs to reduce our footprint on the environment and maintain reasonable prices for our customers.